is an imprint of Paws and Claws Publishing, LLC. <HTML><META HTTP-EQUIV="content-type" CONTENT="text/html;charset=utf-8"><p class="mbs fwn fcg" data-ft='"tn":"C"
Cindy W. Hollingsworth has spent her life dedicated to the dance arts and dance education. She is a graduate of the University of North Carolina at Greensboro with a BS degree in dance. 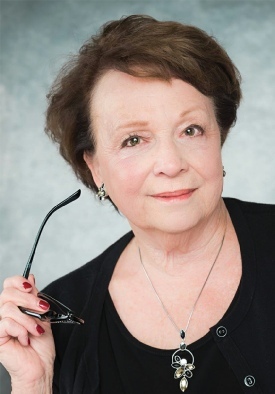 She and her husband owned and operated dance studios in both Virginia and North Carolina for over 43 years. They also founded Dance Troupe, Inc. (DTI), a large national dance seminar and competition company dedicated to the tradition of dance excellence. Cindy began writing in her early years. She often wrote scripts for children’s plays, pageants, or recital themes. Many of the dance-studio recital programs had introductions written by her. These were poems related to the themes of the shows. She has written poems for other dance teachers as well and writes biographies and resumes for performers and teachers on request. Though she never seriously considered writing for publication, Cindy often found her heart called to record--in verse or narrative--various aspects of life that touched her soul. In 2011, she wrote, sang vocals for, and produced a children’s CD for dance and listening called Songs in My Head. She wrote the accompanying dance teachers’ manual with helpful hints for classroom use of the CD and collaborated on the coloring-book page related to each of the songs. According to the author, “My life has always been about dance and creating through movement. Now my creativity has led to other forms of the arts such as songwriting, poetry, and children’s rhymes and short stories. ©2014 Paws and Claws Publishing, LLC. • All Rights Reserved. 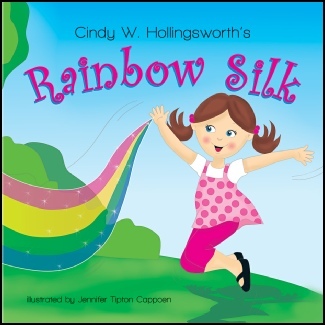 At the start of Cindy’s rhyming tale, the drifting Rainbow Silk asked the little girl to come out to play. They ran, jumped, and laughed. Rainbow Silk’s pink, yellow, green, and blue sparkled and glistened. As the two raced and shouted, the girl realized she’d made a new friend. Then Rainbow Silk saw clouds appearing overhead and was gone on a gust of wind. Sadly the girl started home without her new friend. However in the distant clapping thunder, she heard Rainbow Silk make a promise to return to her when the sun came back. During the rainstorm, the girl remained hopeful and waited to see if her new friend would return. As the rain continued to fall, she went outdoors with her star-covered umbrella. Time dragged slowly by. After what seemed like an eternity, the sun beamed and her friend appeared as an arching Rainbow high in the sky. After the Rainbow had made wishes come true, it came back to her home. And the two played joyously once again. The rhyming text and brightly-colored, sparkling artwork in this book portray the effervescent qualities of the Rainbow Silk perfectly. Rainbow Silk is a colorful, joyously exuberant picture book for children. Readers will enjoy and relate to the antics of the two new friends. 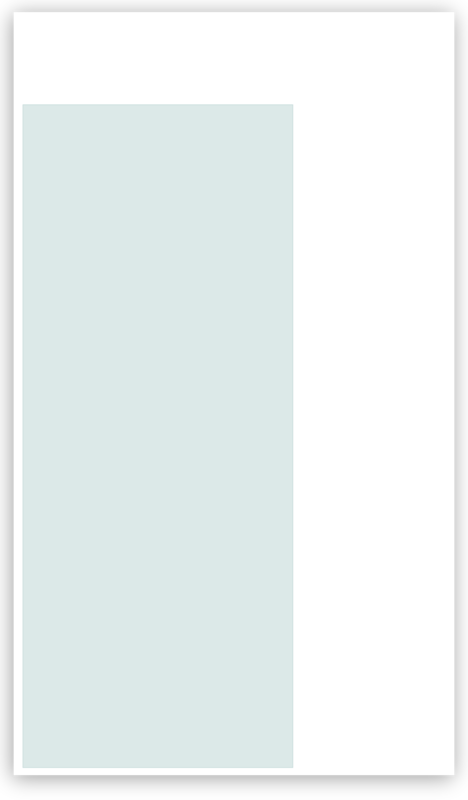 The bright colors in the artwork from the beginning of the book to its end make the artwork dance. Readers and listeners alike will be clamoring to read and look at this book time and again.